It’s a rare treat to be able to sit down with two of the towering figures of pop music and film music to talk about a collaboration for film. 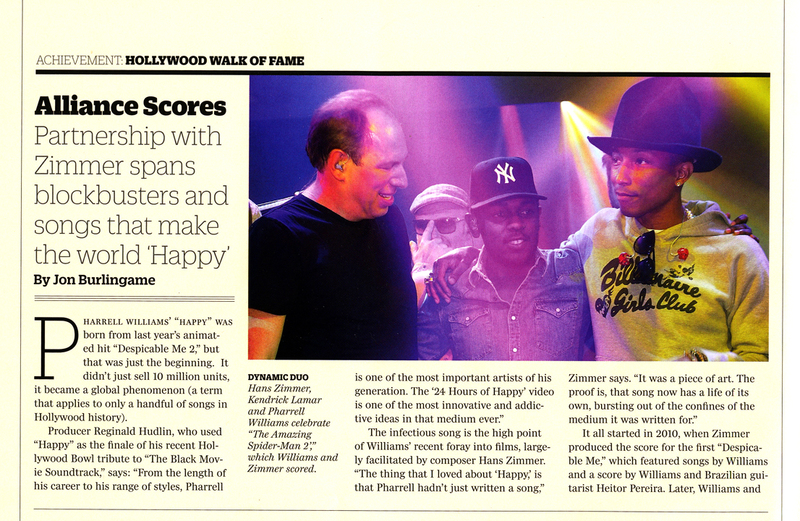 In this case it was songwriter-producer Pharrell Williams and top Hollywood composer Hans Zimmer — along with their friend and musical colleague Benjamin Wallfisch. 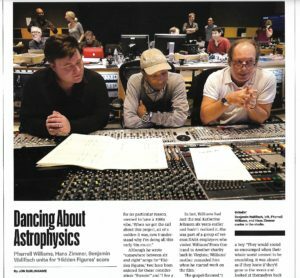 The three of them produced the score and songs for the new film Hidden Figures, the remarkable untold story of three African-American women were part of the American space program in the early 1960s. Williams served as one of the film’s producers and wrote the songs, which in turn inspired the score penned by Zimmer and Wallfisch. It has an undeniable ’60s vibe infused with gospel sounds, and this story for Variety‘s Music for Screens issue discusses their collaboration. This entry was posted in Composers, Film Music, Interviews and tagged Benjamin Wallfisch, film music, Hans Zimmer, Hidden Figures, Oscar music, Pharrell Williams, Variety on January 6, 2017 by Jon Burlingame. Last night I moderated a Q&A with top film composer Hans Zimmer, top songwriter-producer Pharrell Williams and their talented collaborator Benjamin Wallfisch, whose combined talents resulted in the score for an upcoming film, Hidden Figures. It’s the amazing untold story of three African-American women whose math and engineering skills helped catapult the United States into the space race in the early 1960s. I think it will stun a lot of people when it opens at Christmas. The Society of Composers & Lyricists sponsored the screening, and the lively discussion that followed featured Williams discussing his original songs, and Zimmer and Wallfisch talking about how they were further inspired by both the story and Williams’ ’60s-style sounds. 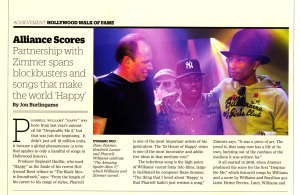 This entry was posted in and tagged Benjamin Wallfisch, Hans Zimmer, Hidden Figures, Pharrell Williams, Society of Composers & Lyricists on November 20, 2016 by Jon Burlingame.